When I was in college, I had a different relationship with “going home” than most of my peers. For them, winter and spring holidays meant booking flights and spending a week someplace else. For me, it meant a subway ride or a walk forty blocks south of campus. As someone who’s chosen to stay in the place she grew up, “going home” has continued to be a matter of shifting neighborhoods, which sometimes means that it feels unremarkable. I’m lucky to be so close to my mom, especially as we both get older. But it certainly changes my experience of “home for the holidays” and other rituals of returning to one’s childhood locale. Occasionally, something compels me to make a visit home ceremoniously; not because I have an extra container of soup or loaf of bread to give my mom, not because there’s a book in storage at her place I’d like to read, but because I need my childhood home and everything associated with that. This week was challenging, and Friday was particularly so; I felt more lost in more dimensions that I have in a long time. So, last night, I came home. I slept at my mom’s, and I treated the whole thing as if it were a special thing—a true homecoming—rather than a quick walk to a place that’s not so far away from my own. My mom and I didn’t do anything special for the occasion, but that wasn’t the point. The point was to reconnect with my origins, even if they’re only 15 blocks away from my present. It worked. It was soothing to look at familiar titles on the bookshelves in my room (now my mom’s workspace), to smell the familiar smells of my mother’s toiletries in the bathroom, to gaze at a few childhood photos. I visit my mom’s apartment often enough that it’s all incredibly familiar, but when I really pay attention, it’s profoundly nostalgic, too. Nostalgia can be complicated, but on this weekend, it was welcome. I needed to be reminded of past selves and past phases of life. I needed to tell myself that life will continue to pull me through beginnings and endings and tiny, subjective epochs, but that there will always be a strong and fundamental self who bears witness to it all. I suspect I’m not making a whole lot of sense, but what I’ve experienced in the last 24 hours is less about logic and more about the powerful feelings that accompany homecoming, in every sense of that word. I recognize that I’m deeply privileged to have a home space—my mom’s—that feels safe to me. In the coming week, I wish you all a safe space to connect with and inhabit; a place that makes you feel nourished, loved, and reminded of where you’ve been and where you’ll continue to go. Here are some recipes and reads. 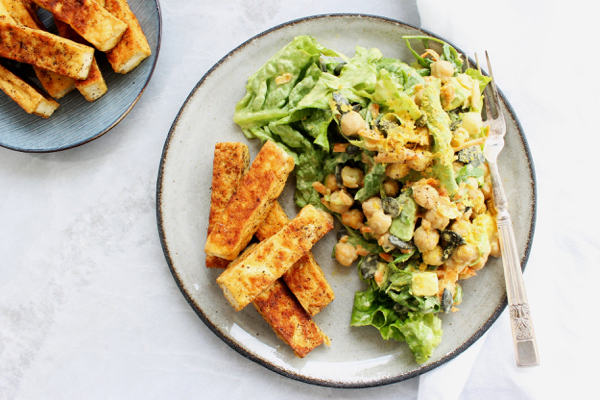 I can never get too many simple tofu recipes, and Katherine’s black pepper tofu looks particularly versatile. 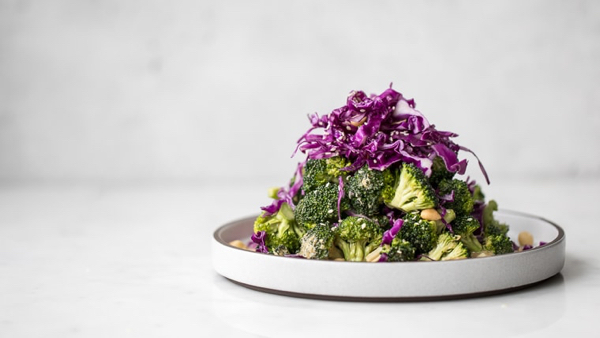 A fresh, crispy, colorful broccoli and red cabbage salad for spring. I’m loving the looks of Liv’s roasted red pepper cheese sauce. I make a lot of chickpea flour pancakes, but I’ve yet to make a chickpea waffle. 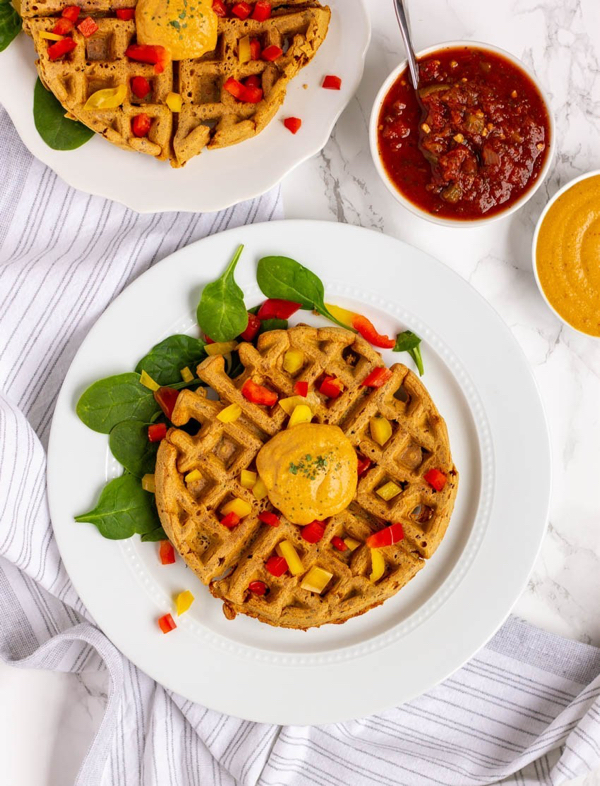 These spicy, savory waffles look so good! 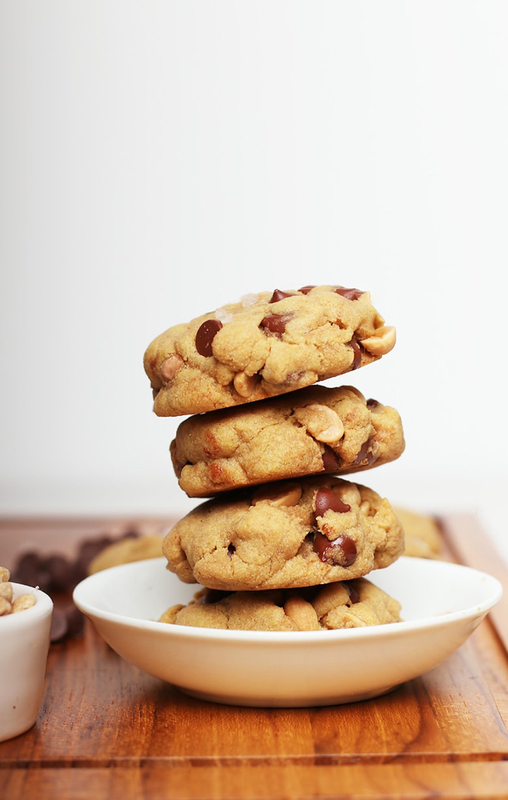 I have yet to perfect my own vegan chocolate chip cookie recipe, let alone a GF and vegan one. But Sarah’s on it. 1. Via Medium, a critical look at “extreme wellness” in both the food and fitness realms. The author interviews RD Emily Fonnesbeck, who has spoken out bravely on this topic before. I always appreciate how candid Emily is about her struggle, which began with elimination diets and resulted in full-blown disordered eating. 2. I like chef Ronna Welsh’s musings on how being the parent of a child with special needs humbled and unmoored her, and how her relationship to cooking changed as a result. 4. 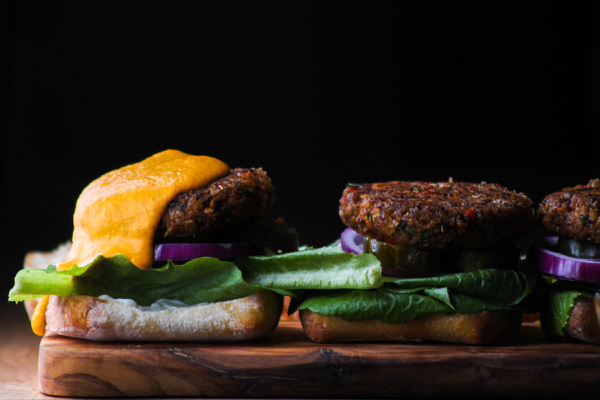 A new study points to risks of high animal protein diets. 5. Finally, I was so touched by this Audubon article on an unconventional bald eagle family (two dads and one mom) and how they’ve braved circumstances together. Be sure to check out the live webcam of the eagles if you have the time! OK, friends. It’s a beautiful spring day in New York, and I’m determined to savor it. Have a great Sunday. 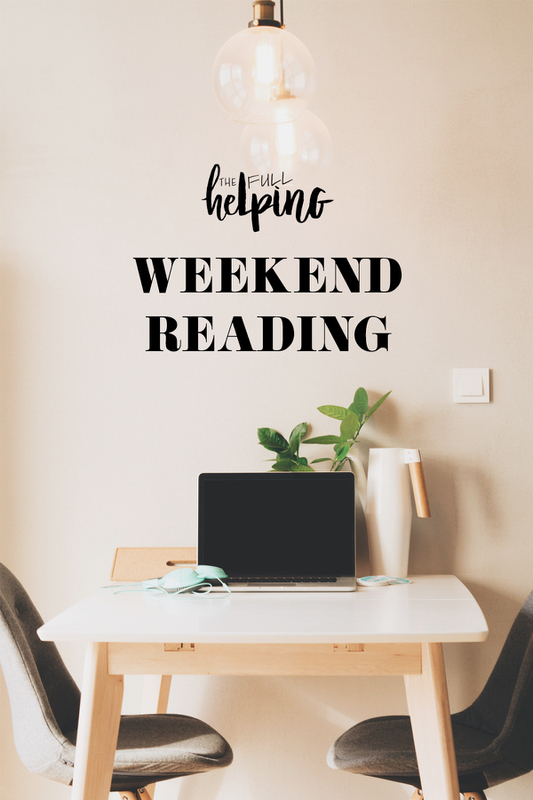 The post Weekend Reading, 4.14.19 appeared first on The Full Helping.